The purpose of an oil filter is to remove any contaminants from the oil, which can accumulate over time as it passes through the engine. It is recommended that you change the filter each time you replace your motor oil to keep the engine clean. The best oil filter is the K&N HP-1008 Performance, which is a straight OEM replacement part that is heavy duty and traps 99% of harmful contaminants. Choosing the correct filter for your car is crucial as you will want the filter to work efficiently and not want any oil to leak out the engine. Small differences such as threads or gasket size can reduce the efficiency of the filter. The two main types of oil filter include cartridge and enclosed canister filters. 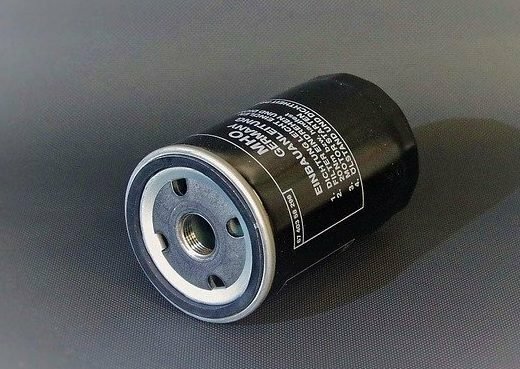 Depending upon your vehicle specification will determine the type of oil filter that is require for your car. You should ensure that you are going for an OEM replacement for simplicity as you will want a filter that fits correctly with no areas for oil to leak. When it comes to replacing your filter, you will require an oil filter wrench that will automatically adjust to the size of your filter for easy removal. One your filter is removed, you will want to replace the gasket and any other hardware along with the new filter. 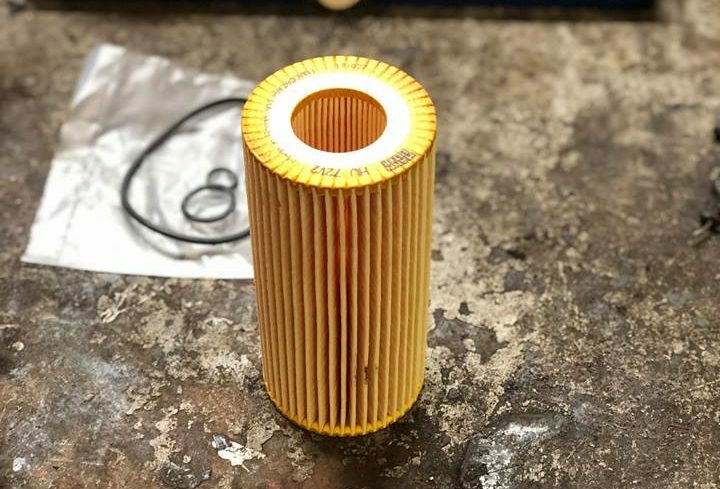 Below is a list of the best oil filters that will ensure will efficiently filter out any contaminants and keep your engine clean. The K&N Wrench-Off Oil Filter has long been a favorite of car enthusiasts because of its durable construction and performance based design. It was originally designed to be used on race cars, so it provides superior functionality and value. Unlike a standard oil filter, the K&N has a unique design where a 1 inch nut has been welded to the top of the canister. This means it can be wrenched off with ease. The K&N oil filter is still very popular with racers and is a great choice if you need something durable. Here are the notable features of the K&N HP Wrench-Off Oil Filter. The K&N HP is best oil filter on the market for if you are looking for durability. 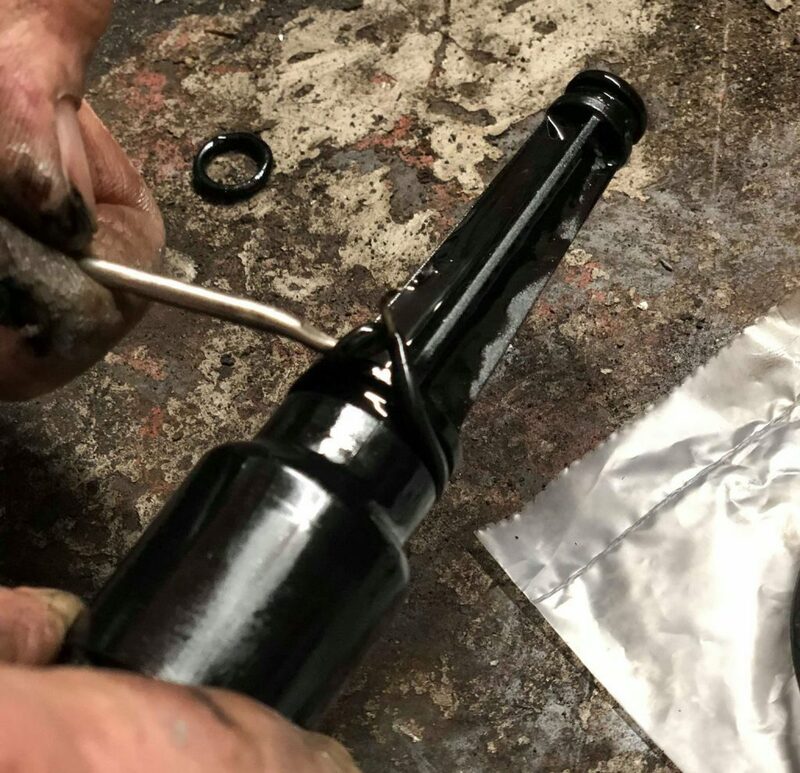 The unique wrench-off design also makes it much easier to remove than other oil filters. Whether you’re a car racer or just an enthusiast, this is a great product that’s worth spending your money on. The Mobil 1 M1-110 Extended Performance Oil Filter is designed for long term use and is designed to filter large amounts of dirt and debris. In fact, it has more capacity than many other filters, so you won’t need to change it as often. It is built to handle long drain intervals and high oil pressure and can prevent harmful dry starts. Here are some of the notable features of the Mobile 1 M1-110 Extended Performance Oil Filter. Compared to many of the cheaper alternatives, the Mobil 1 oil filter is able to withstand 9 times more pressure and double the capacity. Overall, it is the best oil filter for long usage, which is a good option for those that cannot service their car as frequently. You also have the peace of mind that your engine oil is being filtered by one of the best oil filter brands there is. The Mann oil filter is a reliable and affordable choice that work for many different types of cars. In particular, they work well for BMW, Mercedes, Porsche and other high end German cars. This filter is easy to install and the large surface area of the filter protects the engine and catches large amounts of dirt and debris. There are many different sizes of these filters, so it’s important that you check to make sure you are getting the correct one for your car before you make a purchase. Here are some of the notable features of the Mann-Filter HU 925. This oil filter by Mann is one of the most popular cartridge types available and offers excellent value for money with the performance you would expect. The majority of OEM oil filters are produced by Mann, which makes the HU 925 a great replacement. Royal Purple is another brand that makes high-capacity, extended life oil filters that are very reliable. Unlike other filters, this one is made entirely with synthetic micro-glass media, which is more effective at keeping dirt and debris out. It also lasts for a very long time and can handle a higher amount of pressure and impact. The design prevents leaks and ensures a longer time between oil filter changes. Here are some of the notable features of the Royal Purple Oil Filter. The Royal Purple Oil Filter’s high-quality construction is reliable and will prevent you from needing to change your oil too frequently. This oil filter is also very efficient, so it will keep your car running more effectively and prevent damage to your engine. The Royal Purple Oil Filter is popular with mechanics and is a great all rounder. Bosch Premium Oil Filters are complex, durable filters that will keep your engine in good shape and filter out unwanted contaminants. They fit smoothly into your car and are built with a strong exterior to prevent against debris puncturing the filter. It has a large filter area to catch more contaminants than other filters and keeps your engine running as efficiently as possible. Here are some of the notable features of the Bosch 3323 Premium FILTECH Oil Filter. The Bosch Premium FILTECH Oil Filter is a reliable and long-lasting filter with a steel construction for heavy duty usage. It protects your engine and keeps it the engine oil clean for much longer than cheaper alternatives. There are many things to consider when shopping for an oil filter. You need to make sure you are getting a filter that is going to work well with your car’s system and prevent damage to your engine. The best oil filter will actually minimize the need to change your oil as frequently as you would with a cheap filter. Oil filters come as a spin on canister or cartridge type and it is important that you get the correct filter for your engine. Below we have produced a detailed buying guide to help you make an informed decision regarding an oil filter for your car. The first thing you need to look at when shopping for an oil filter is whether or not it is compatible with your car’s system. The size of the oil filter in each car is different, so you will need to make sure the replacement filter you purchase actually fits into the correct placement in your engine. If you are purchasing your filter on Amazon, you can enter in your car’s make, model, and year to find out if the filter is compatible. You can also search online to find this information, or you can ask your mechanic. The two main types of oil filters are cartridge and spin on where both have their benefits. The cartridge filter uses a cellulose filter media along with other materials such as plastic. They have been used in vehicles for over 50 years but from the 1990’s, many manufactures moved toward the spin-on type of filter. This type of filter uses a steel outer canister and provide more convenience when performing the replacement. However, according to EcoGard, manufacturers are starting to go back to the cartridge type due to government regulations and environmental factors. It is recommended that you change your oil filter every time you change your motor oil. Therefore, if you plan on doing a large amount of driving, the ease of replacing the filter needs to be easy. If you have the correct wrench, replacing the filter is fairly straightforward. Simply remove the filter with the wrench and then clean up the area where it was located as some oil will spill. One thing that is important is that you change the gaskets and these will be included with the oil filters recommended. As you can see below, use a small ply tool to drag the gasket down in place. Depending upon whether you have a metal canister or cartridge oil filter, the steps you take may differ. Before reinstalling the oil filter, we highly recommend lubricating it with some oil on the seals and then put it back in place. Once installed, you will want to start the engine and then check for any leaks. You may also want to recheck the oil level and top it up if required. The outer casing of the filter is what protects it from damage while your car is running. Rocks and other debris can get into the engine, and they could puncture the filter and damage it. Therefore, it’s helpful to purchase a filter that has a durable exterior that is resistant to impact, pressure, and punctures. A durable exterior is safer for your engine and will prevent leaks. The media is the part of the filter that catches the dirt and debris as it runs through. Generally, the more media that is included in the filter, the more likely it will be to catch all of the necessary debris. Therefore, you will generally want to look for a filter that has a higher density of media. You should also look into what the media is made from and how it is constructed. A finer filter design is generally best, because it keeps out stubborn smaller particles of dirt and debris. The filtration efficiency level is another important factor to consider when shopping for an oil filter. Your filter should be able to process at least 99 percent of dirt and debris that comes through it, so that your car runs on the cleanest oil. 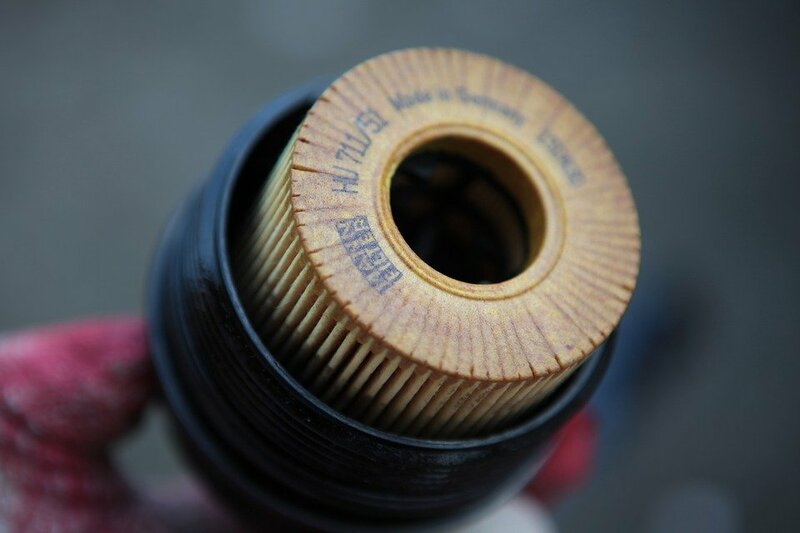 The more efficient your filter is, the smoother your car will run, and the less often you will need to replace the filter. Dry starts are very dangerous for your car, and they can happen when oil accidentally drains back into the filter instead of out into the proper channels. A silicone anti-drainback valve is a must on any filter that you purchase. These valves ensure that the oil goes where it is supposed to, preventing dry starts and other damage. These valves are also helpful for preventing leaks. The filter capacity is how much dirt and debris the filter can hold. It’s important to look for a filter with a large capacity, because it will last longer and require less maintenance. Many premium filters are specifically designed to maximize their space to hold more filtered material for your convenience. Today there are multiple types of oil that car mechanics use. In addition to traditional oil, there are also many types of synthetic oils. A good filter will be compatible with any type of oil. This not only protects your engine more effectively, but it also makes your car easier to service. If your filter is only compatible with one type of oil, it will make maintaining your engine much more inconvenient. There are so many choices out there when it comes to oil filter replacements for your car. It’s helpful to invest in a high quality one, because it will mean fewer oil changes and less hassle. Use this guide to help you choose the best oil filter for your needs. If you still aren’t sure which filters are compatible with your car, consult your mechanic or another car expert for more personal guidance. Spending the small amount extra for a quality filter than has been developed by a reputable brand is highly recommended. The purpose of the filter is to keep the motor oil clean and free of contaminates. Failing to do this will see other components have additional wear and tear, which will be far more costly than a cheap oil filter. All of our recommended oil filters above are designed for a range of cars with various size options available. Be sure to check the manual for the correct type of filter before purchasing so that you are not left disappointed.